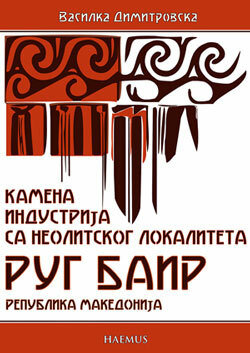 In the period 2009 to 2014, the Northeast region of Macedonia has seen the implementation of several projects, including the creation of strategies for the development of tourism in general. 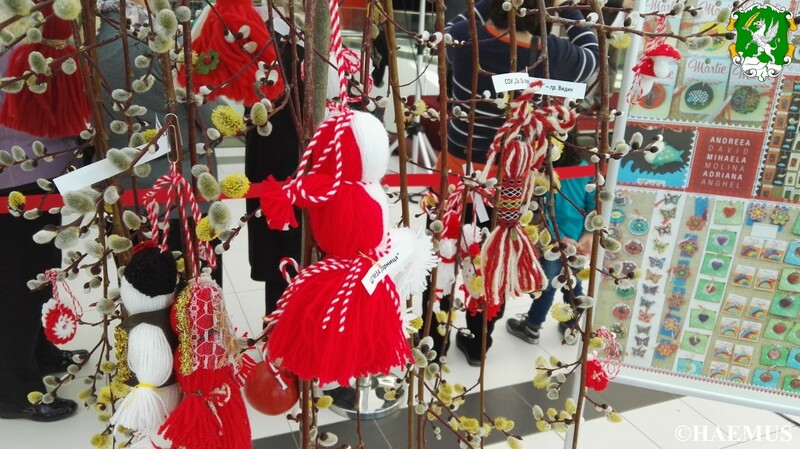 These governmental projects, focused on identification and evaluation of the natural and cultural resources, were concentrated mostly around two cities, Kumanovo and Kratovo. 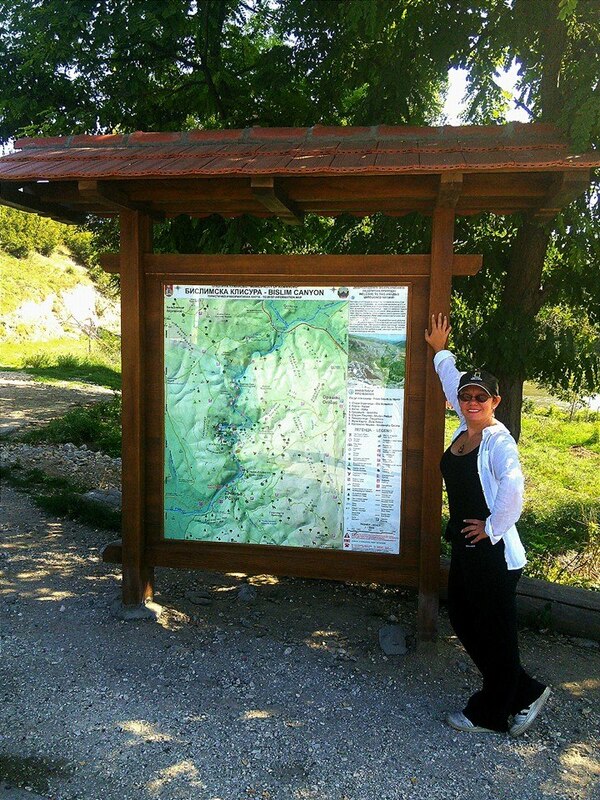 Trying to help in a development of sustainable tourism in this part of Macedonia, HAEMUS was one of the official partners in the project about „Bislim canyon – tourist attraction of Kumanovo“ commissioned by North-Eastern Planning region – Macedonia. The main aim of the project was promotion of the Bislim canyon, a small gorge in the vicinity of Kumanovo, intersected with a lot of caves as a local geomorphological feature, archaeological sites and beautiful nature. 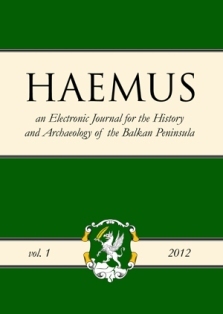 After this study was finished, HAEMUS was one of the official partners in the ‘Study for mapping of tourist routes in Northeastern region‘ commissioned again by the Macedonia’s Northeastern Planning region. We made an attempt to create a significant number of tourist products, for the benefit of the tourists, as well as the local community, by generating economic development. 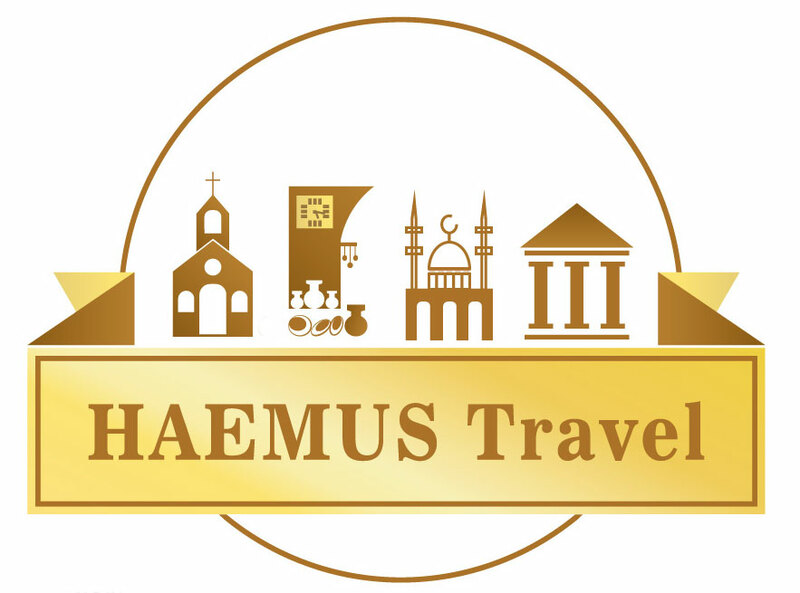 Recently HAEMUS was a host to Ms. Larissa Olenicoff aka The Blonde Gypsy who writes for Lonely Planet, Balkanvibe and many more travel blogging sites. 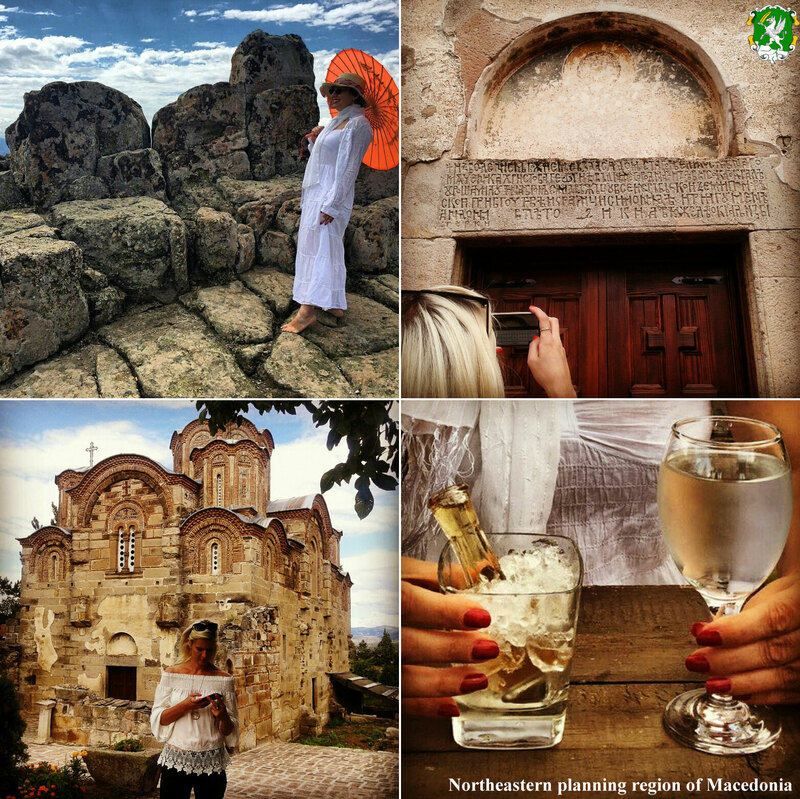 We’ve guided her through the Northeastern planning region of Macedonia, which gain a lot of publicity mostly due to the landmark Kokino, an archaeological site from Bronze age and prehistoric archaeo-astronomical observatory. 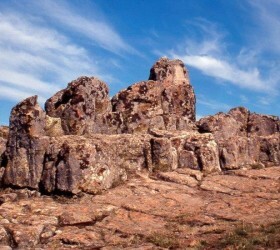 Kokino attracts 10,000 to 30,000 visitors a year which shows its potential as a tourist destination. 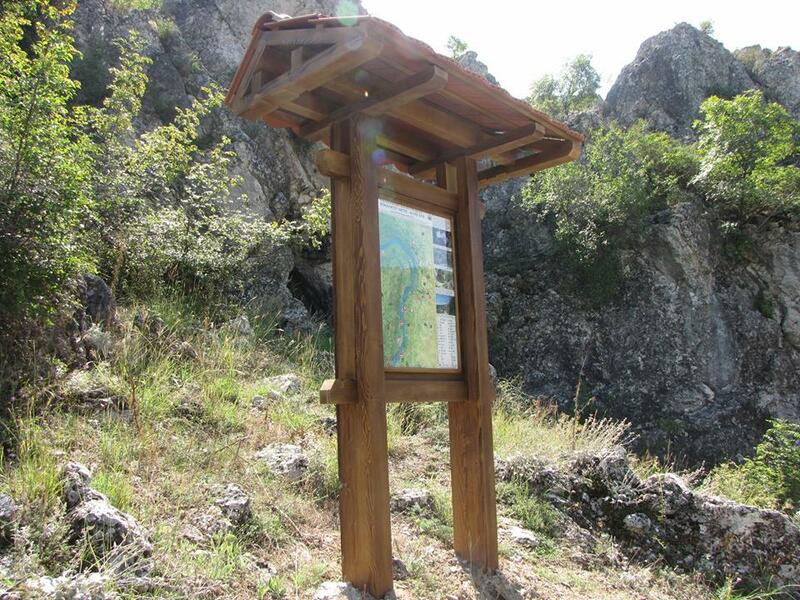 The ongoing project started by USAID and the Swiss government with the support of the Museum of Kumanovo, local institution in charged for the site includes new signposts, information boards, protective fence of the site, mobile application for audio guidance and new official website on Kokino. The project is being conducted for sustainable development of Kokino as tourist destination as well as its preservation. Within this project, a special updated training of professional tourist guides was organized with a presence of few HAEMUS members who are professionals in culture heritage and have the license guide as well. 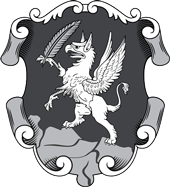 The Northeastern planning region of Macedonia is one of the eight statistical regions of Macedonia. It is located in the northeastern part of the state, bordering the Skopje region and the Eastern region. Municipalities’ that belong to this region are: Kumanovo, Lipkovo, Staro Nagoricane, Kratovo, Kriva Palanka, and Rankovce. The motorway and railway from Belgrade to Skopje and Thessalonica, and the road which connects Kumanovo and Kriva Palanka and further to Bulgaria cross this area. The climate of this region is a typically continental one. Regarding the climate advantage, the forest complexes of the mountains Skopska Crna Gora, German and Osogovo Mountains are particularly attractive. On these mountains there are arranged paths for hiking and climbing, as well as accommodation suitable for weekend tourism, especially settled above the towns and monasteries. North-east Macedonia is abundant in archaeological sites such as Kokino and sacral buildings, such as the monastery complexes of St. Joachim Osogovski, monasteries in the village of Matejche and Karpino, etc. This region is rich in cultural and, especially, in natural resources providing good base for developing of different kinds of local, as well as national, and international tourism. 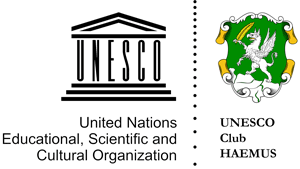 In order to select and organize the immense heritage of this part of the Republic of Macedonia, the authors of this article were hired by the governmental and non-governmental sector, to develop projects dealing with management of heritage on a national level, through tourist valorization.